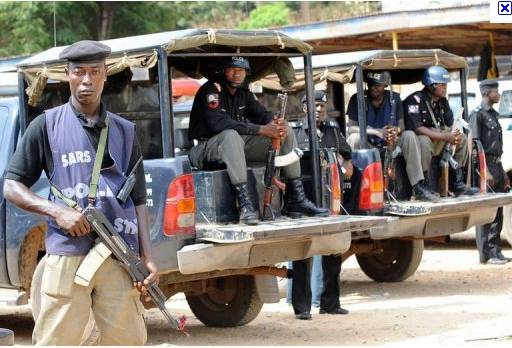 An Ikeja High Court yesterday sentenced five police officers to 25 years each imprisonment for robbing some businessmen of their lorry loaded with clothing materials. Having established their guilt in the crime, Justice Joseph Oyewole reportedly handed his judgement on Bestman Denner, Musa Mohammed, Peter Enidiok, Godwin Williams and Emmanuel Ajogbor, who were charged with conspiracy and robbery. According to the judge, “I hold that there is sufficient evidence to conspiracy as to commit robbery as charged. I hereby convict each of them accordingly. “However, the defendants are policemen trained to protect the public and not otherwise. This in itself is an aggravating factor. “The defendants took advantage of their being members of the Nigeria Police Force to rob citizens. This is unfortunate. “Using the police uniform to rob is a bad signal to the public because it will erode people’s confidence on the police. “The image of the police should not be dented to the extent that members of the public will begin to see police checkpoints as an armed robbers,” he said. The accused men are receiving this judgement ten years after they were charged for the said crime.